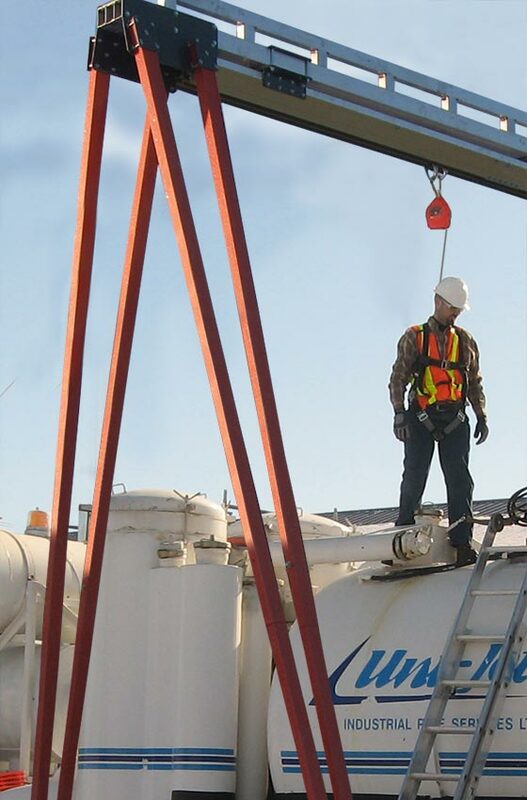 The Mobile A-Frame System (MAFS) allows you to place mobile overhead anchor points where you need them in your workplace. 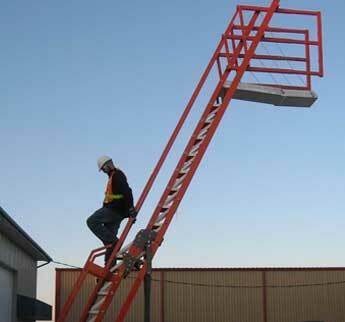 These systems roll over equipment or other structures being accessed and provide ground-up fall protection for your elevated work activities. The built-in horizontal rail affords the simplicity of a rail and trolley system while allowing users a full range of motion over the work area, keeping your workers safe without interfering with their jobs. 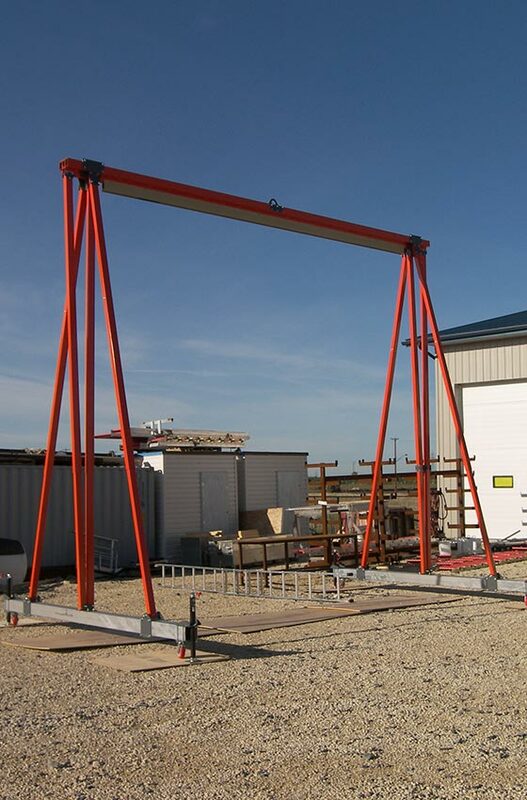 Available in a range of heights and wheel styles, the Mobile A-Frame System (MAFS) can be ordered to meet your application’s custom requirements. An FLS engineer will work with you to ensure your system is optimal for your work environment. Additionally, our in-house fabrication facilities ensure fast production and delivery of custom products. 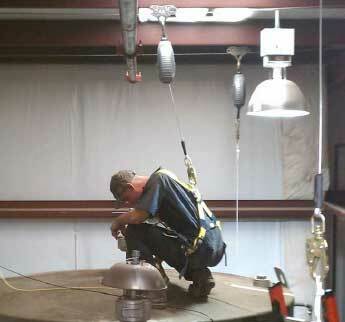 As the industry leader, we set the standard for fall arrest capability, quality and efficiency. 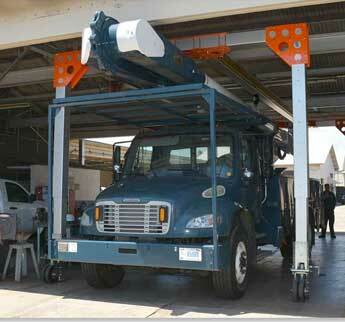 Let our experts help you maximize the fall protection provided by the Mobile A-Fame System (MAFS). Select below for more information about specific portable safety solutions. 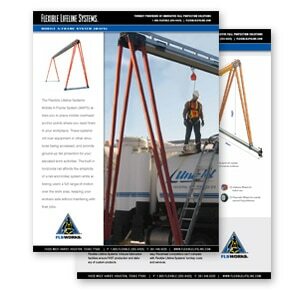 Freestanding Horizontal Rail Systems roll up to elevated work surfaces and provide mobile anchor points for fall protection. 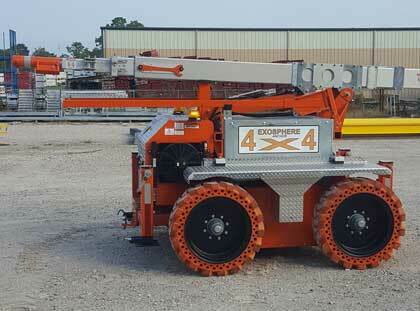 The Mobile Quad Rail System allows you to place mobile overhead anchor points where you need them in your workplace. 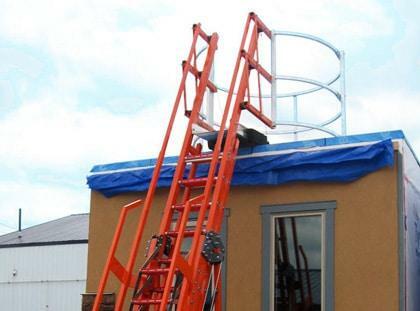 The Mobile Access Stair System (MASS) provides full stairway access to elevated work areas ensuring sure footing while ascending to and descending from elevated work surfaces. The Freestanding Mobile Access Stair System from Flexible Lifeline Systems® provides safe access for working surfaces up to 18’-3”. 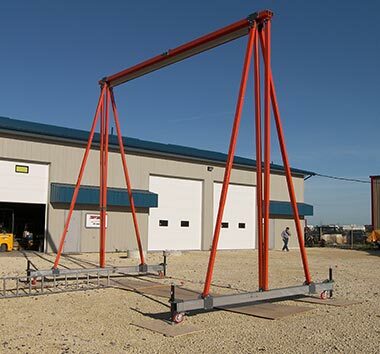 The Mobile A-Frame System (MAFS) allows you to place mobile overhead anchor points where you need them in your workplace. 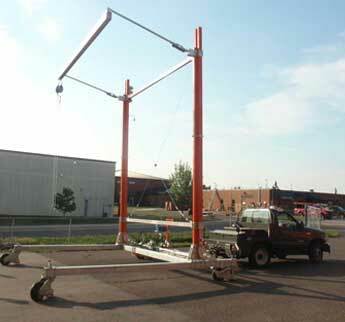 The Exosphere anchor system is a unique and portable fall protection solution designed for industrial job sites.